Located just East of Austin, Texas, Falcon’s best-in-class factory is strategically situated to serve the entire United States. We take a manufacturing plant approach to building container-based structures, enabling us to deliver a product with superior quality and consistency on budget and on schedule. 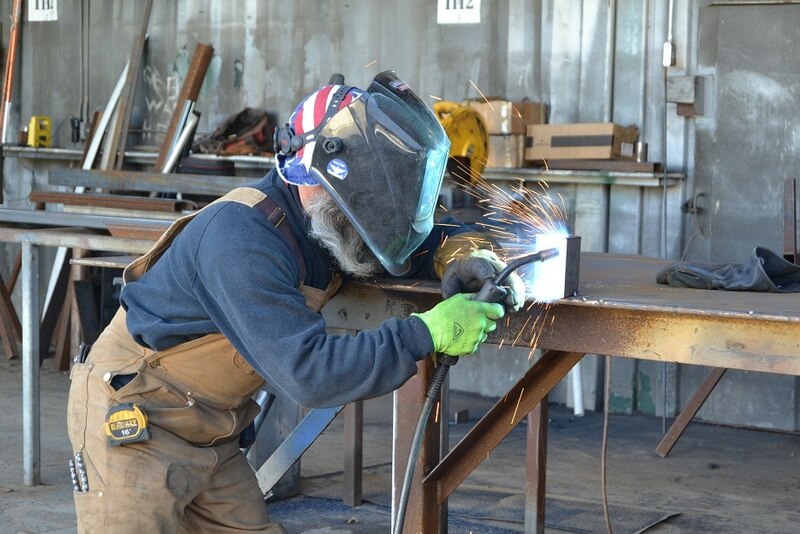 The Falcon Structures' trained staff performs each step of production—welding, carpentry, electrical, finish out, and painting—in house within our 5-acre manufacturing facility. Each step of our process is segmented into a designated area or “dome.” As the conex container moves through the domes, the production team performs rigorous quality control checks at each stage. At peak production output we can produce four repurposed containers a day. We run quality control checks at each phase of production. 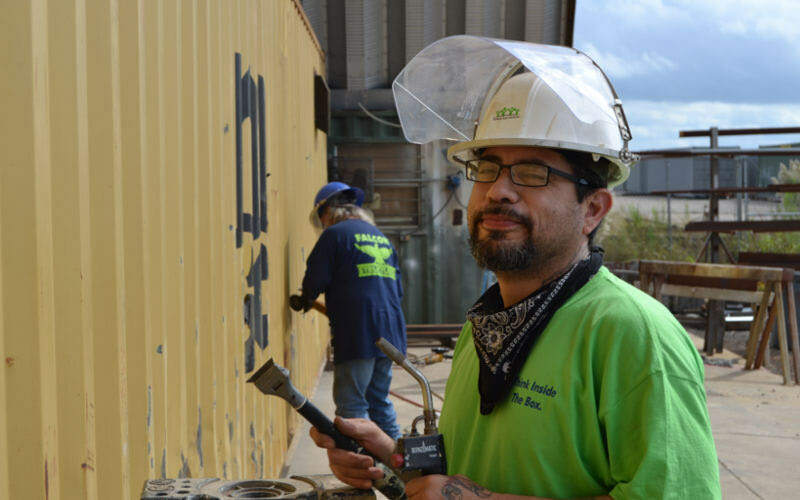 Our central office is a two-story container-based building made from eight 40-foot high-cube containers. The office has clear span areas to create an open work environment while maintaining the industrial look and feel of the containers. 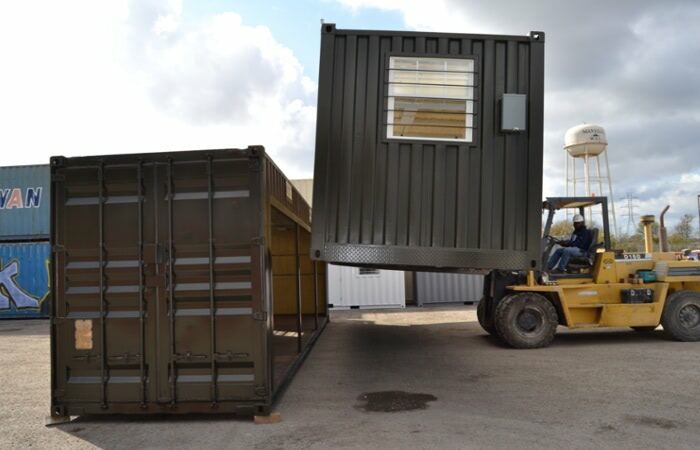 As Falcon has grown, we’ve added several auxiliary ground level shipping container offices (GLOs). As signified in ESR 4163, Falcon Structures is a proud provider of shipping containers approved for use as building materials. When you choose to use our code compliant containers, you and your local coding official can be certain that your structure is made from structurally sound materials, greatly expediting your permitting process. 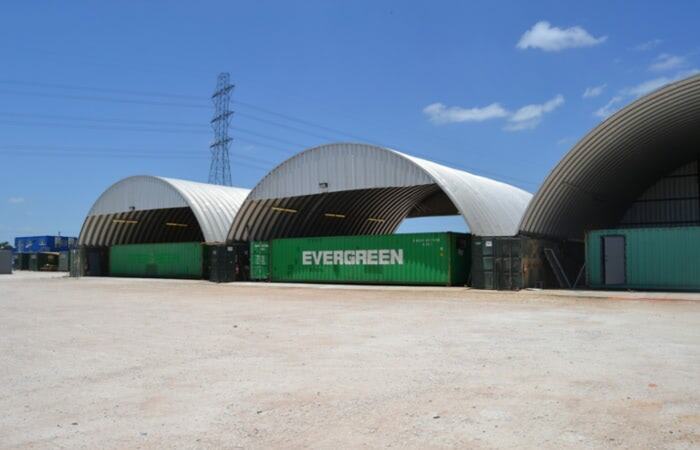 As both a provider of ICC-ES approved, containers and an in-house manufacturer of modified container modules, we streamline your building process and act as your container expert. Thinking about a shipping container project? Our sales representatives are happy to answer your questions. Call 877-704-0177 or email sales@falconstructures.com.